Lookups like that will often work in one browser but not another, resulting in effectively hiding your info, which isn't allowed. User Lookups that hide portions of the UL behind buttons are subject to being cleared. Durp. Yes, yes they should. P.S. : You have a very relevant username. The mastermind behind this LC has come up with even more, so it looks like you're going to have to keep those thinking caps on. To appreciate the depths of this staff member's deviousness, you can check out the solution here. Much like when you stop playing with a Petpet, it simply *poofs* away, never to be seen again. 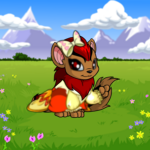 So, if you're planning on growing your Krawk Petpet into a Neopet, we don't recommend attaching an expensive Petpetpet to it. Trust us, we're not. ._. 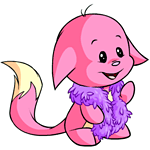 While it certainly isn't nice giving a Neopet a glimmer of hope by adopting it, only to rip away its sole companion and then toss it back in The Pound from whence it came, it is not against the rules. 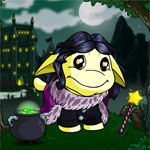 A Neopet in The Pound has no owner and is fair game for anyone to adopt it as they see fit. If that person then decides to abandon it, they can. Whether that be two minutes later or two years later, and whether or not that Neopet had a Petpet and then didn't, doesn't matter. There is no scamming going on. No rules are being broken. It's kinda sad, but it's perfectly acceptable as far as gameplay goes. HOWEVER, remember that selling Neopets is not allowed. If you trade a Neopet and add the Petpet on as a "bonus" payment or anything shifty like that, it's still against the rules. Don't panic. This is the unanimated version. You again? Your username is still relevant. They are usually Stuff That's Important Right Now and Stuff That Knocked Our Socks Off (don't tell Dragona; we're still looking for that blue stripey one). We generally select the best-looking or most interesting items to display there. We currently update the items by hand, so it's not feasible with how it's currently coded for it to display all of the new items. That could possibly change in the future, but not for now. Well, you ARE a fellow Lord of the Rings and Harry Potter fan, so we suppose. Just this once, though! Quick, throw the ring into the cauldron! Maria had nowhere to go. So she waited tables to customers who didn't exist. Top 10 Sandwiches and Burgers! Food is a huge part of Neopian living, and burgers and sandwiches are no exception.